2018’s Cannes Film Festival was dogged by gossip about the event’s fallout with Netflix, but this obscured a larger, more important narrative: 2018 was an embarrassment of riches for European cinema. Filmmakers on the continent have access to some of the best talent in the world. Since 2000, European film trends like New French Extremity, the Romanian New Wave, and Greek Weird Wave have brought new voices to the forefront. In 2018, this smattering of influences, sensibilities, controversy, and talent yielded such a high influx of quality that narrowing the continent’s output down to ten was difficult to say the least. In making this selection, there were parameters. Aside from quality, films had to be European in funding and focus. Movies like I Am Not a Witch and Foxtrot that were made with European funding and in some cases qualified for the European awards but take place outside of Europe were excluded. This list also focuses on films made independently of Hollywood, so while many excellent (often British) efforts like The Favourite, The Death of Stalin, and Stan & Ollie are excellent and European, they will have to be content with their award nominations. Finally, some honorable mentions are in order. There were numerous French efforts across genres, including horror flick Revenge, Gaspar Noe’s psychedelic nightmare Climax. French auteurs Olivier Assayas and Claire Denis continued to impress while working with Juliet Binoche in Non-Fiction and Let the Sunshine In, respectively. Belgium offered the divisive but brilliantly titled Let the Corpses Hang. Scandinavian cinema was chock full of delights: Iceland’s Woman at War, Denmark’s Holiday, Norway’s What Would People Say and Utoya – July 22. Florian Henckel von Donnersmarck’s Never Look Away was a return to form for the German helmer, while Ashgar Farhadi’s first European effort Everybody Knows almost earned a spot as did The Marriage from Kosovo. In weaker years, any of these films would’ve been shoo-ins. 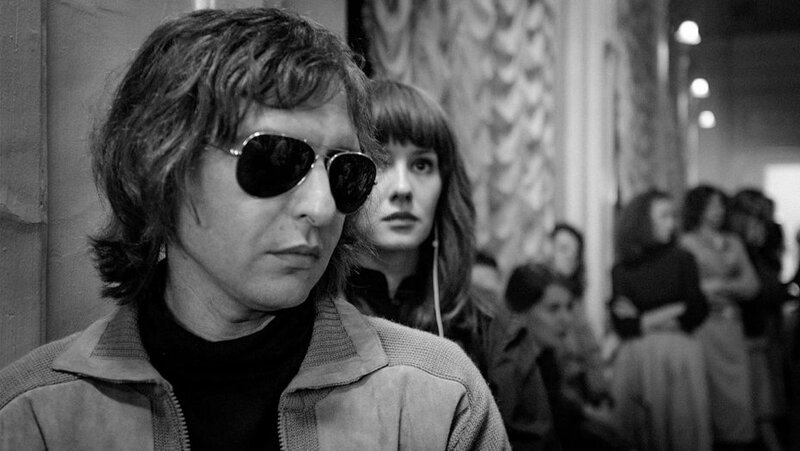 With Leto from Russia, director Kirill Serebrennikov carried on the tradition of the director as political prisoner. That made him one of two directors at the Cannes Film Festival who couldn’t attend due to politics. That publicity would be enough to give Leto significant buzz, but Serenbrennikov and his crew have created something deeper and daring than just controversy. Leto is a coming-of-age story, a love triangle, and a love letter to a youthful obsession with music and rebellion. It tells the story of real-life musician Viktor Tsoi who rocked the USSR and died all too young in a car crash. Serenbrennikov, finding little to actually work with, posits Tsoi as a youthful aspiring musician who falls in with an older songster and his wife. There’s jealousy, ambition, meditations on talent and craft, and of course music. If Serenbrennikov has been criticized for extrapolating and fictionalizing, then it’s too his credit that he resists cheap comparisons in order to sell his film to wider audiences. There are no equivocations to the west nor does the film try to cash in on social mores. Serenbrennikov got to Cannes not by playing up his story but by making something personable and heartfelt, an ode to the value of music in hard times. In a cinematic year stuffed with stories about musicians, here is the film that dares to be about music. Alice Rohrwacher’s latest contribution to Italian cinema mixes neo-realism and magical realism seamlessly to make Happy as Lazzaro. In addition to being one of the best European efforts of the year, it’s also one of the most understated and strange. Any synopsis threatens to ruin the surprises that Rohrwacher has in store, but it’s fair to say that the film tells the story of a group of sharecroppers that navigate economic systems that are definitively stacked against them. The story deftly condenses the European experience with industrialization as its quirky band of farmers eventually find their way to the city. The title character, Lazzaro, is so pure of heart that his soulfulness and devotion transcend earthly trappings. 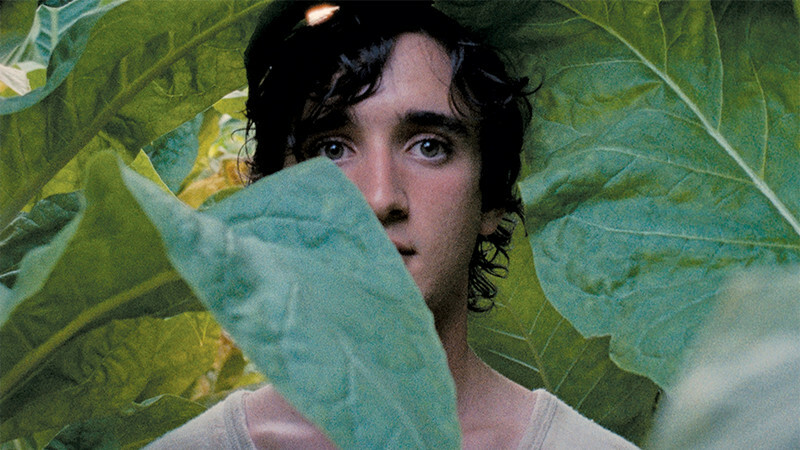 Happy as Lazzaro has been described as a modern-day fairy tale. Though its biggest similarity might be with the wit and wonder of Washington Irving, fairy tale comparisons aren’t without merit, if fairy tales could be considered the right vehicle to tackle themes like exploitation, economic insecurity, and social mobility. We tend to think of avant garde storytelling as defiant and existing out of time, yet Happy as Lazzaro tells a story that is overwhelmingly traditional and distinctly of its place while feeling relevant and out of time. Christian Petzold follows up Phoenix with a view of Europe that might be an alternate universe but is still terrifyingly relevant. It says something that in a day and age when dystopian fiction and alternate realities are a dime a dozen, Petzold has made something truly unsettling by focusing on the minutiae of life under occupation. The nature of that occupation is at the forefront of Petzold’s Transit. It takes place in what looks like modern day France, except that it is under Nazi control. Variety described Transit as a “modern-dress Holocaust drama”. It tells the story of a man who assumes a missing writer’s identity to escape the Nazis. Once in Marseilles, he meets the wife of the man whose identity he assumed. Naturally, intrigue follows. Reviews were glowing, and even those who deemed the movie divisive couldn’t deny that it was daring, and effective. Petzold starts off with a gimmick but knows that alternate realities or modernizations can only take a story so far. Transit riffs on tropes of war romance, spies, and decades of stories about underground resistance to make something that is prescient without being preachy. Some day, when fake news and disinformation are phrases mostly found in text books (or e-files), Donbass, made in Ukraine by Sergey Loznitsa, might be required watching. As it stands, it’s one of the most essential films of this year and this decade. In a crowded field, it helps to be different, and Donbass manages to go further by being both bizarre and timely. Writer/director Sergei Loznitsa uses 13 different stories to paint a picture of the ridiculousness of the Kremlin’s aggression against Ukraine. Loznitsa goes so far to recreate Youtube videos and citizen journalism to drive home the point. In this century, war looks and feels different even as it destroys all the same. Of course, politics don’t alone make for great cinema, and Loznitsa displays a keen voice for cinema even as he and his characters trudge the absurd banality of the conflict. 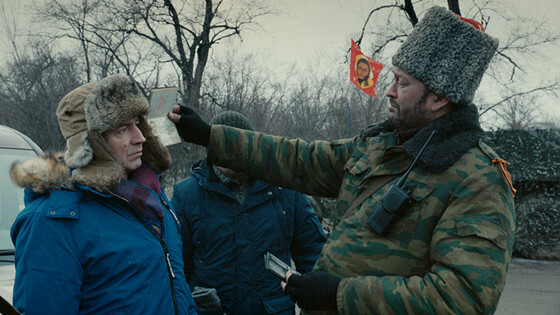 Donbass might be one of the first films, and certainly one of the first great ones, that has something to say about disinformation and so-called post-truth. Some viewers criticized the film for being too obtuse, but Loznitsa, who directs documentaries as well as fiction, mixes reality and storytelling without coming across as exploitative or reaching. Technology has made it easier than ever to make and distribute a film on the cheap. Partly as a result, there has been an influx of single character/single location films. Danish film The Guilty is among the best of them. 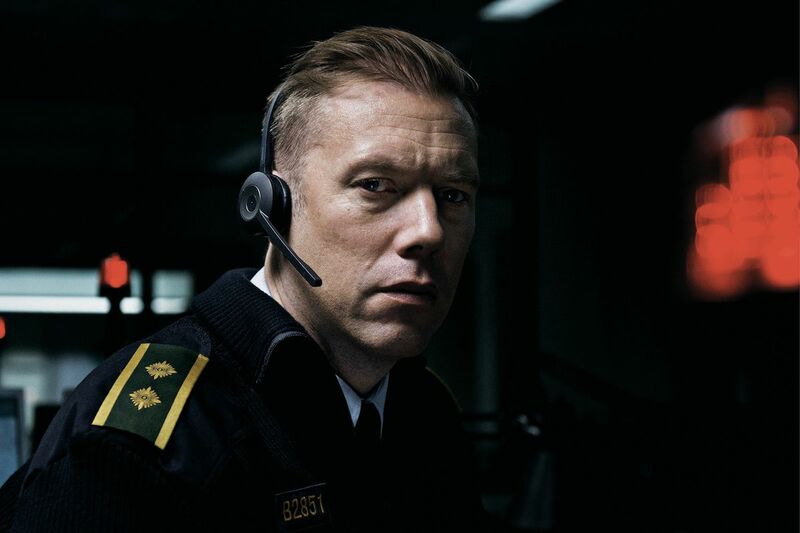 In the film, a police officer named Asger (Jakob Cedergren) is assigned to dispatch duty. What should be a relatively straightforward assignment takes a turn when he gets an emergency call from a woman who appears to be kidnapped. Asger then has to try to save her without leaving his desk. The film has a similar gimmick to other 2018 films like Searching and Unfriended: Dark Web, yet it never feels derivative. Actually, it’s thrilling for it’s entire 85 minute runtime. Unlike other recent entries into claustrophobic cinema, The Guilty doesn’t have to set up much for its premise, and this works to its advantage. The scenario is not only plausible but realistic, and because it doesn’t strain to establish why our character is in one place, it’s free to immediately launch into a story that is grittier, more realistic, and, consequently, tenser than one might expect. Films like this are usually made for a quick buck, but director Gustav Möller and cowriter Emil Nygaard Albertsen have delivered a thoroughly well-made effort that teems with suspense. Cedergren is more than capable as the face of the film, and a revolving cast of voices turn in effective performances. The Guilty is a genre film with such focus and anticipation that it’s become a film to remember.